We are now open Monday - Friday from 8am to 6pm. We have a brand new office with all the latest equipment and technology! The philosophy of my practice is honesty and excellence. I have found a need in Portland for a dental office that takes the time to listen, understand and deliver the best care for you. We're happy to announce that we are now seeing patients in our brand new, state-of-the-art dental suite just around the corner from our old building! 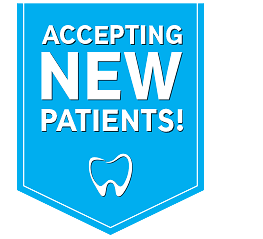 During an initial visit Dr. Pham will talk to you and assess your past dental experiences so that he can improve your experience at the dentist. Our office is open Monday - Friday from 8am - 6pm. And, we are also available by appointment Saturdays. I scheduled an appointment easily over phone, they saw me promptly (even before the time of the appointment). Dr. Pham was calming, gentle and professional. The new office is beautiful, with free parking and close proximity to both work and home! I grind my teeth at night and always have. Until I went to Dr. Pham, I just accepted that there was nothing I could do about it, unless I wanted to spend a fortune. It's all about communication, because Dr. Pham provided me with an affordable, easy solution that has saved my teeth! My friend recommended Dr. Pham when I said I was tired of looking for a good dentist for me and my family. It has worked out great! His awareness of our family needs gives us great personal service. All of this, and they even worked with our insurance to get the most out of our coverage. It's amazing how much different a dental appointment can be when your dentist listens to your concerns and addresses them. Great job!